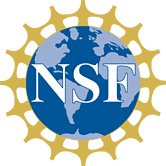 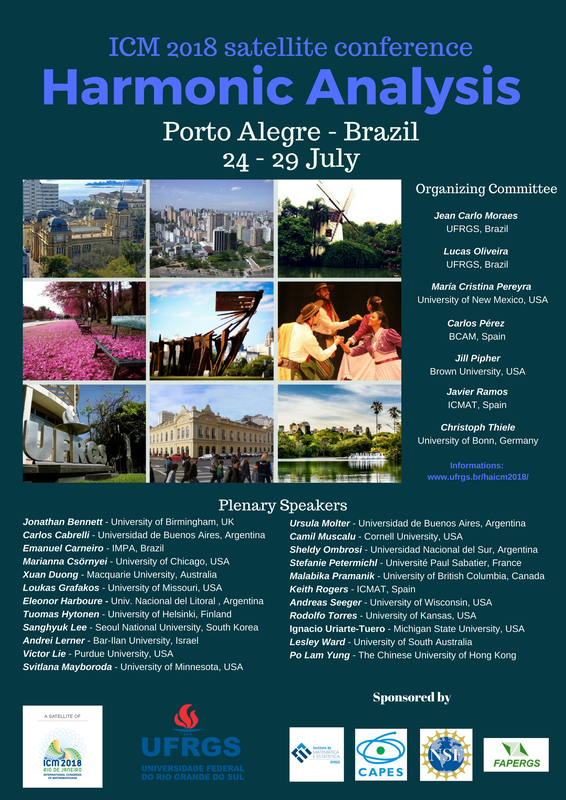 The conference include specialists from many subtopics of Harmonic Analysis such as weighted inequalities and dyadic harmonic Analysis, product spaces and multilinearity, extremal inequalities, frames, Fourier Analysis and the restriction problem, as well as specialists in other areas that have some intersection with Harmonic Analysis or which use it as a tool, e.g., combinatorics/number theory, PDE’s, and Geometric measure theory. 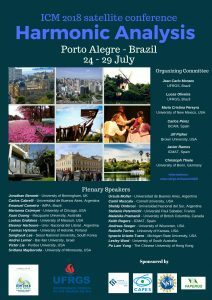 This is an ICM2018 Satellite Conference. 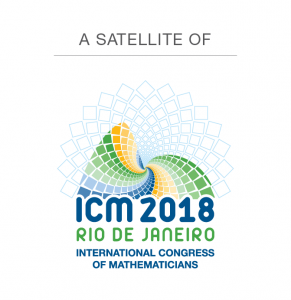 More information about the ICM2018 may be found on the official homepage of the International Congress of Mathematicians. 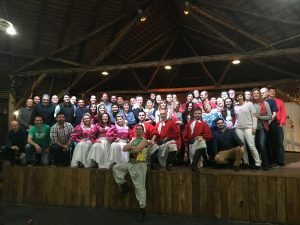 The conference will take place at Hotel Intercity Porto Alegre and it is schedule to start on July 24 at 5:00 p.m. and to end at noon on July 29.